Minnesota’s first teachers’ union just turned 100 years old. The organization marked its anniversary last Friday, March 1 at a special celebration which included unveiling a new name — The St. Paul Federation of Educators (SPFE) — and a new logo. Formerly known as the St. Paul Federation of Teachers, the union local changed its name to reflect the organization’s desire to be more representative of its membership. The nearly 4,000-member union not only has an active teacher membership, but also includes educational professionals and assistants and other licensed staff. The SPFE launched in 1918 as the Saint Paul Women’s Federation of Teachers, Local 28. It merged with the men’s local in 1957 and has continued to make history during its longstanding tenure. 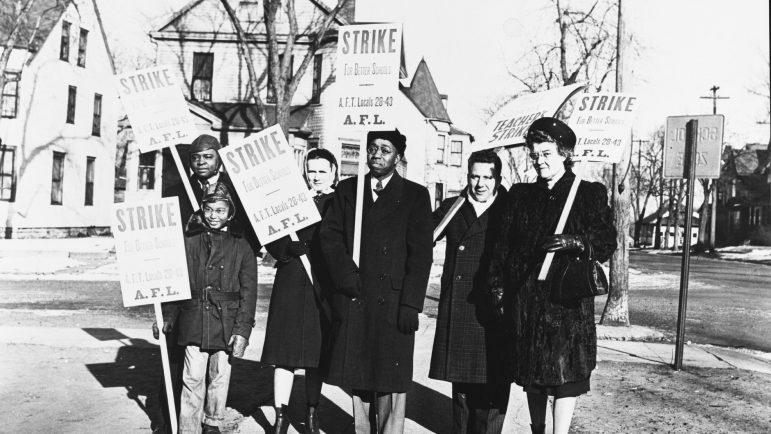 Members organized the first teachers’ strike in 1946, when it was illegal for public workers to do so. The nearly six-week strike demanded equity in pay for women, smaller class sizes, and textbooks for all students. They won. 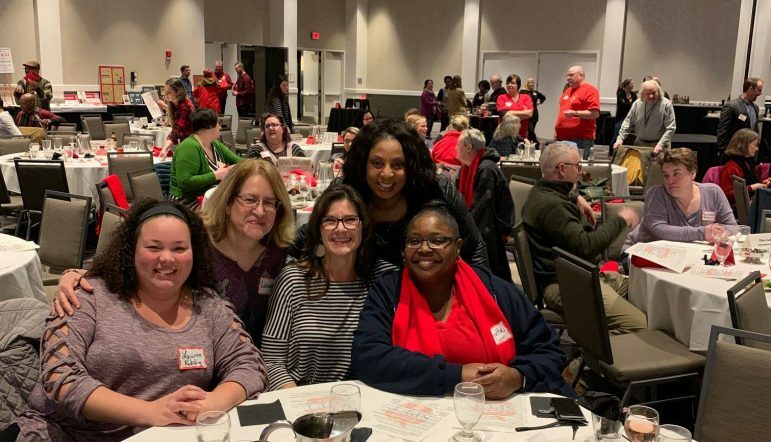 The union local negotiated two more near-strikes in1989 and 2018 with renewed demand for school basics, winning more support staff and classroom size limits. Other achievements include securing restorative practices, $15 minimum wages, and professional development. Today, the union local continues the same fight while also advocating for school staffing, resources and equity for the state’s second-largest school district and one of its most diverse. Seventy-nine percent of students in St. Paul Public Schools are of color; 30 percent are Black. “We look forward to continuing the fight for fully funded, racially equitable schools in the weeks and months ahead,” said SPFE President Nick Faber in a statement. The union also supports the district’s student-led Student Engagement and Advancement Board, which is pushing for a mandatory ethnic studies course for all high school students. The SPFE is also politically active, encouraging its members to participate in local precinct caucuses and become public education delegates. In addition, the SPFE conducts candidate screenings to help better inform the public on their candidates’ stance on education, and they use their influence to influence the general and primary elections. This year, seven St. Paul City Council and four School Board director seats will be on the ballot. Candidates seeking endorsements, such as Anika Bowie and Chauntyll Allen, shared their responses via questionnaire regarding how they see themselves as “public education champions,” and what they will do to work towards increased school integration and reform policy creation. For more information and to view candidate questionnaires, visit spft.org. Kay Robinson welcomes reader responses to krobinson@spokesman-recorder.com. The SPFE Elections Committee is now accepting ballot applications for the following SPFE seats: President, Secretary, Executive Board, and Regional Labor Federation. Information collected via the application will be put into a voting guide that will be mailed to all members, along with the voting ballot. SPFE members seeking to run for one of these positions must complete an online application before the March 22nd deadline. Final SPFE ballots may be returned via mail or building stewards. The voting deadline is April 22, 2019 at 5 pm. For ballot applications, go to bit.ly/spfecandidate2019.